When we opened our doors 30 years ago, we were a small, family-owned business in Arizona with a simple philosophy: keep customers happy and they’ll keep coming back. 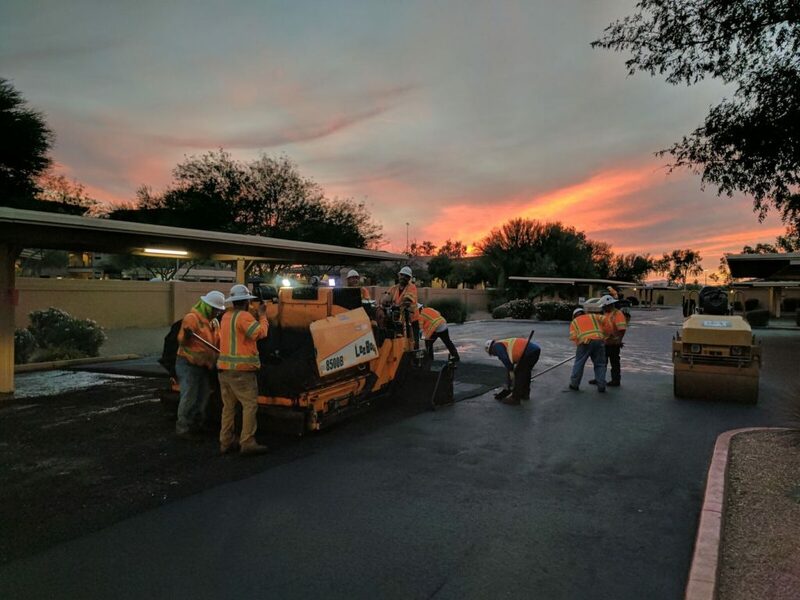 Today, we’re one of the most respected asphalt companies in the Southwest. Not much else has changed. We’re still family owned, still at home in Arizona, and still giving customers lots of reasons to keep coming back. Invite us to bid and we’ll show you exactly what we mean. To be the most trusted brand to our customers by providing reliable and innovative pavement maintenance and construction. We will continue to deliver high-quality and cost-effective projects that are on schedule by employing and supporting motivated, flexible, and focused teams. We do this by providing our team members with quality employment and career growth opportunities in which they can achieve their personal growth goals and the company can achieve its growth and profitability goals. We work in an environment in which we maintain the highest levels of professionalism, integrity, honesty, fairness and exceptional customer service and are involved in the growth of our community and building on the culture that has brought us to where we are at today. The same project manager who starts your job will be with you until it’s finished. Hire Cactus and you get many asphalt companies in one.